Chicken Soup for the Soul, 9781611599534, 384pp. 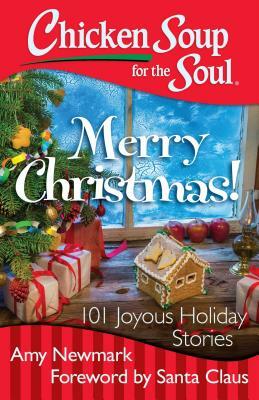 This collection of 101 heartwarming and entertaining stories of holiday traditions, family, and goodwill will spread the wonder and joy of the holiday season. A fantastic holiday gift and a great way to start the season! Amy Newmark is author, publisher, and editor-in-chief of the Chicken Soup for the Soul book series.